Find out more an join us for this benefit art sale and catered evening…My studio is upper right….should be a really extra-ordinary evening…..
Visit Addison Farms Vineyard – Asheville’s newest family owned vineyard & winery. Three days of oil painting with instructor and eminent landscape painter, John Mac Kah, Catered picnic lunch is included.Wine tasting (and discount for students) following closing critique. 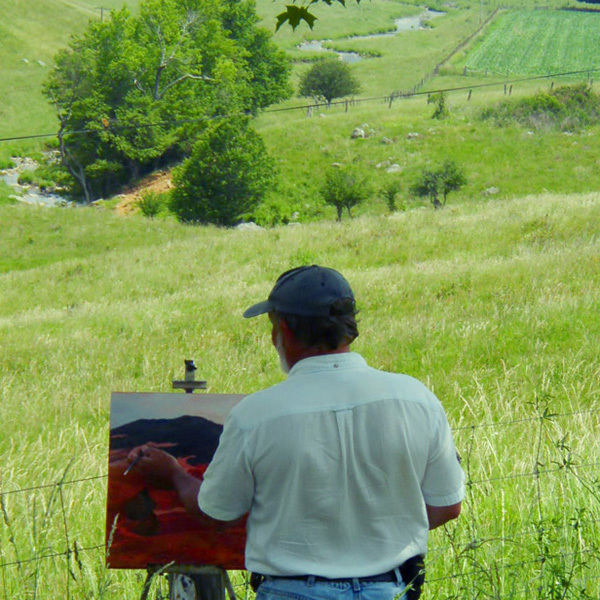 We are very pleased to be able to paint on this ridge top, southwest exposure with great 360 vistas and mountain views. Register on-line at here or contact me to find out more. A foundation course for artists’ already working in other media or a great place to start for beginners. Some drawing and prior painting experience helpful. Oil paints possess unique qualities and when combined with compatible mediums, varnish and supports produce rich layered effects. Campbell Folk School has a wonderful studio, great food and the gardens and grounds nestled in the south facing mountains providing us with great views. 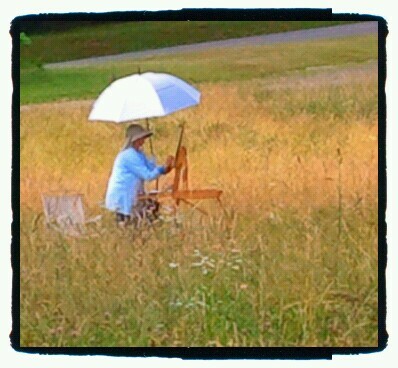 Several historic buildings, barns and open vistas make it a pleasure to paint plein-air. We will do some light walking, so be sure to bring a sun hat, sunglasses and comfortable shoes. Visit their website or call them for a catalog. 1-800-FOLK-SCH or 828-837-2775. From: An Artist’s Notebook: Techniques & Materials, by Bernard Chet, 1978. This class is to prepare the student to work and make decisions on location. Prior planning in the studio can ground students before they attempt to take on plein-air work. Using a painted monochromatic sketch, or under-painting, learn how to build a foundation in the field. Contact me for materials list and to enroll. Friday – Sunday, 9am – 4pm.